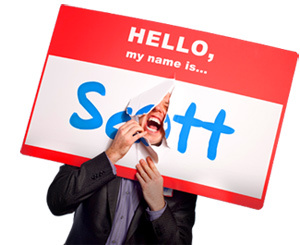 8 Ways to become Ridiculously Referable without becoming a Pushy, Self-Promotional Putz - HELLO, my name is Scott! Just be really good … Have integrity … Show up on time … Do what you say you’re going to do … Become likable … Earn people’s trust … Identify your perfect customer … Give referrals first … Ask for referrals more frequently. If you’re like me, you probably want something more concrete, tangible and doable. A strategy you can (actually) execute TODAY that will help you become more referable – without coming off like a pushy, self-promotional putz. HERE’S THE REALITY: You can’t make people refer you. All you can do is actively create situations that will increase the probability of being referred. 1. Whom do YOU refer? During a recent speech, one audience member shared, “I always refer my chiropractor – she’s great looking and has strong hands!” Naturally, I made an appointment immediately. So, try this: Make a list of five people you’ve referred in the past month. Then, next to each name, note the various attributes that made that person referable. Next, re-read your final list of attributes. Rate yourself from 1-10 on each one. Finally, if you’re not happy with your current referability, set a goal to raise each category by two points in the next six months. Or, if you REALLY want to blow your hair back, email ten customers and ask them to rate you on those same attributes. You may be amazed at the disparity. How referable are you perceived as being? 2. Find your pure audience. “Put yourself in front of people who can say yes to you and deliver value first.” That’s the mantra of world-renowned sales trainer, Jeffrey Gitomer. And you better believe he’s made millions adhering to it. So, here’s how you can adopt this same philosophy to your own business. FIRST: Identify a concentrated pool of perfect prospects that meet regularly. Associations are a great place to start. There’s one for everything. NEXT: Find out what it takes to position yourself in a visible Thought Leadership capacity. Speak at their meetings. Contribute to their publication. Leave value-driven comments on their blog. FINALLY: Create a Call to Action. Combine outreach with attraction. Ask these people to email or call you to receive additional value. Lists work. Ebooks work. Complimentary fifteen-minute phone consultations work. In six months, you’ll have so many referrals you’ll have to hire an intern. How will you deliver value in front of the people who can say YES to you? 3. Stop referring selfish jerks that don’t say thank you. First of all, you shouldn’t be hanging out with those kinds of people anyway. Secondly, if someone you refer doesn’t show you (at least SOME) gratitude for doing so, odds are they’re not a good commercial for your business anyway. And third, referring “zero-burgers,” as my mother likes to say, violates the trust someone put in you to help them solve a problem. So, not only does the person your referred look stupid, but you look stupid as well. And people don’t refer stupid people. Are the people YOU’RE referring making you look referable? 4. Keep the beat going. Growing your permission asset is the single most important secret to generating ongoing demand and becoming more referable. No matter what your business card says, you work in the name accumulation business. Period. Followers become dollars. Period. Your mission is to regularly deliver value TO and continuously re-earn the respect FROM the tribe of people who admire and support you and your ideas. Period. Remember: When you build a following, you build a bank account. How many people are anticipating your marketing? Lesson learned: Put a period after your name. Stick a stake in the ground, let people gather around, then do everything you can to prove that the stake is sound. Remember: The less you offer, the easier it is for people to refer you. Have you picked a lane? 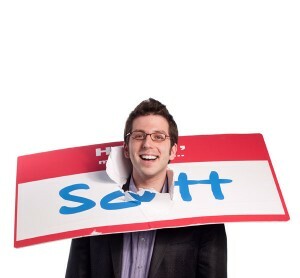 REMEMBER: You can’t make people refer you. For the list called, “12 Dangerous Doozies to Avoid in 2009,” send an email to me, and you win the list for free!